The HBO fantasy drama triumphed in three categories at Sunday’s ceremony, including outstanding drama series. The show’s total number of awards now stands at 38, which means it has beaten Frasier’s previous record of 37. 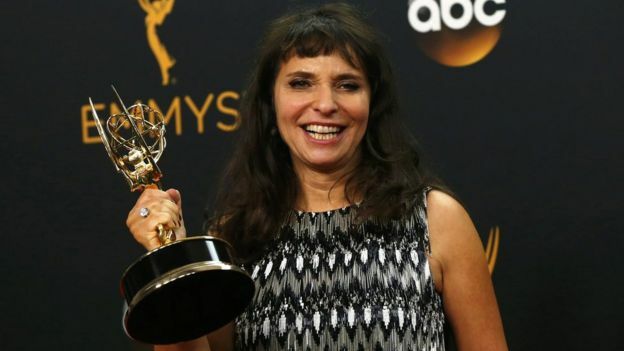 Susanne Bier, the Danish director of the BBC’s spy thriller The Night Manager, won for best directing in a limited series. 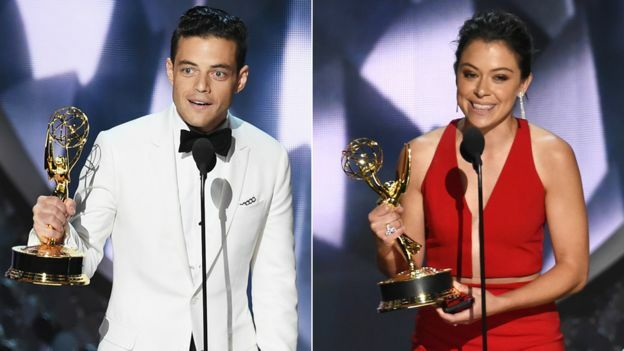 Rami Malek won outstanding lead actor in a drama series for his role in Mr Robot – the first time an actor from an ethnic minority has won the award since 1998. Tatiana Maslany from Orphan Black won the outstanding leading actress in a drama prize. Kate McKinnon, who recently starred in the all-female Ghostbusters reboot, won outstanding supporting actress in a comedy series for her performances in Saturday Night Live. The 38 Emmys won by Game of Thrones includes the nine trophies the series picked up at last weekend’s Creative Arts Emmys. 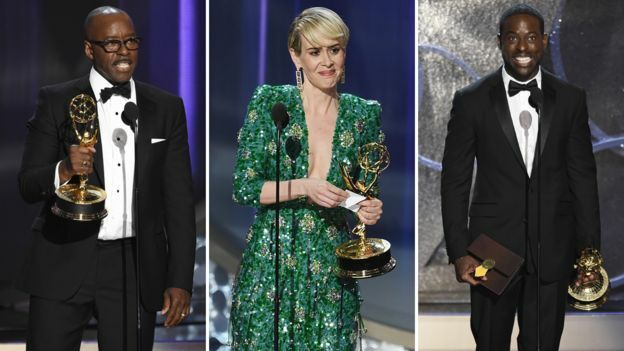 The HBO series is now the most decorated drama series in Emmy awards’ history – the overall record is held by Saturday Night Live, which has won 44. 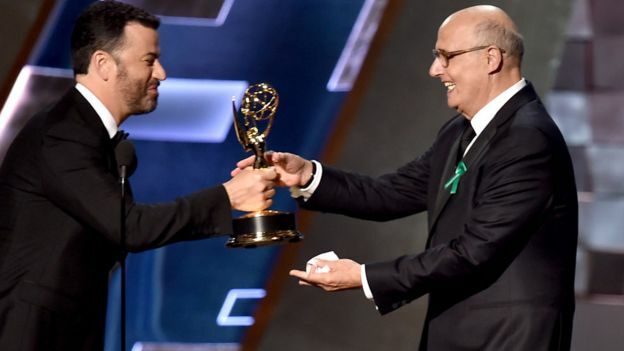 Kimmel made several references to diversity during the ceremony in light of the“Oscars So White” controversy earlier this year. Game Of Thrones Breaks Record At Emmy Awards 2016 0 out of 5 based on 0 ratings. 0 user reviews.